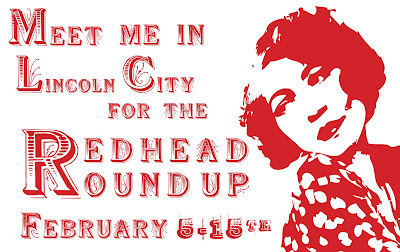 You know that Lincoln City, Oregon, has got their "targeted marketing" program down to a science when I get an e-mail from the city's Visitor and Convention Bureau informing me that they will host a "Redhead Roundup" Feb. 5-15. 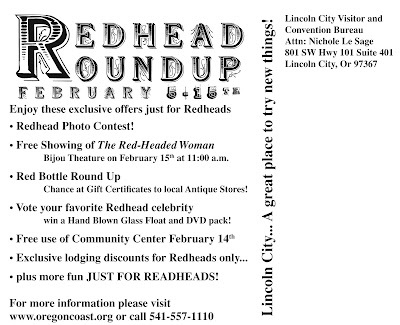 I talked to Nichole Le Sage of the Visitor and Convention Bureau, who explained that "Redhead Roundup" used to be a major annual event in Lincoln City, bringing as many as 60,000 visitors, and now they're bringing it back. 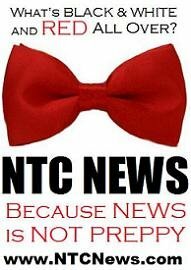 Among other things, they'll have "favorite redheaded celebrity" contest. I'd probably vote for Molly Ringwald, which is not to take anything away from Ann Margaret. 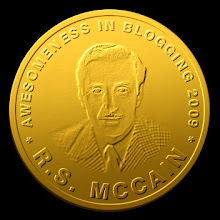 While I'm currently rattling the tip-jar for the Pasadena trip, I'd be willing to consider going to Oregon for "Redhead Roundup," but only on condition that the lovely brunette Mrs. Other McCain got to make the trip, too. This is a mission too dangerous to do alone. Me? 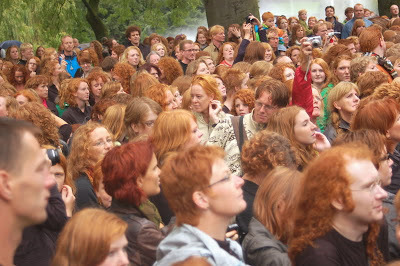 In a town full of redheads? That would be like sending serious conservative commentator Dan Collins to a gathering of cute chubbettes. Roodharigen: It's like Mardi Gras for the melanin-deficient! I trust that Charles Johnson is looking into this. Sure, they are pretending that this is all about redheads. But they also exclude all "people of color" in the process. Sounds like a front for Vlaams Belang to me! My mother grew up there, and my earliest memories are set in Lincoln City, when she was giving hospice care to my grandfather. God's country, the Pacific Northwest.